In 1915, Edward C. Register said, “None of us is as smart as all of us.” Indeed, two heads are better than one, and ten heads are better than two. When an entire organization of individuals is united in their mission and undergirded by collaboration, nothing is impossible for them. They are unstoppable and unlimited. Some companies have a culture that is richly collaborative. At such workplaces, employees aren’t intimidated by one another, nor do they compete. A collaborative atmosphere is a breeding ground for corporate growth and financial success. Does your company host this type of culture? If not, a social learning management system (LMS) can move things in this direction. Many times when organizational leaders decide to become more intentional about creating opportunities for collaboration, they simply don’t know where to start. They’ve got the right idea, but they don’t have a game plan for bringing it to life. The game plan for creating a collaborative company culture is so simple that it’s easy to miss, and it involves implementing an LMS, or an eLearning system. Just as its name suggests, a social learning management system has the power to connect employees who are separated either geographically or relationally. 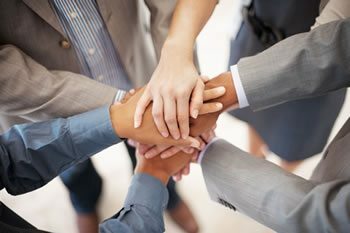 Once unified, these individuals can exchange ideas and work toward common goals. What do these tools have in common? They all promote collaboration. In a busy office, this is a tough feat. Collaborative learning tools connect employees who work across the globe from one another, as well as those who work across the hall. These tools even demolish the language barrier that can seriously impede corporate growth. There are numerous ways an employer or business owner can use an LMS to create a collaborative learning culture. Are you ready to experience this firsthand? If so you can request a FREE live demo of TOPYX, an award-winning LMS that is packed with collaborative learning tools like customized schedules and alerts, social learning tools, bios and pictures, and personal profiles. TOPYX charges zero per-user fees and features mobile learning, eCommerce, language localization, learning tools interoperability, and much more. If your employees aren’t collaborating, they aren’t creating the culture your company needs to not merely survive, but thrive. Will you allow an LMS to provide the collaborative learning tools that will take your business to new levels of greatness?